UPDATE: If you missed our live broadcast of the ADL Hangout, you can view the recording on our YouTube channel, TradingTechTV. We recently started moving our corporate IT infrastructure to Google’s enterprise solution. It’s a big change, but I’m really excited about this from a marketing perspective because Google offers some pretty amazing collaboration tools. One of these is Google Hangouts on Air. This Thursday, November 8th, at 3:30 p.m. CT, we will stream our first Hangout. Our broadcast won’t be formal or scripted, with fancy graphics or an elaborate set. In fact, it won’t even be tied to TT’s official corporate YouTube channel, which will launch soon. But we see incredible potential for Hangouts as a way to talk about our products and engage our users, so we’re going to dive in and experiment. Our debut broadcast will feature Product Manager John Yoo and Senior Business Analyst Tom Zagara. They will present TT’s newest algorithmic trading tool, ADL. While you watch, they will also build and launch an actual trading strategy—live—using ADL. 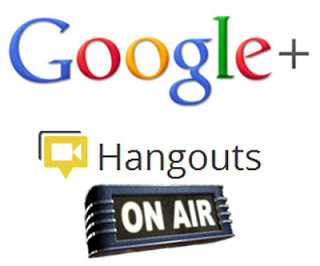 To access our Hangout, just come to John’s YouTube channel at 3:30 p.m. CT on Thursday. Our broadcast will automatically play. No registration, login or special software is required. Note Chrome and Internet Explorer are supported, but Firefox may not be compatible. If you can’t make it for the live broadcast, you’ll be able to access a recording on John’s YouTube channel after the event concludes. Hope you can “hangout” with us.